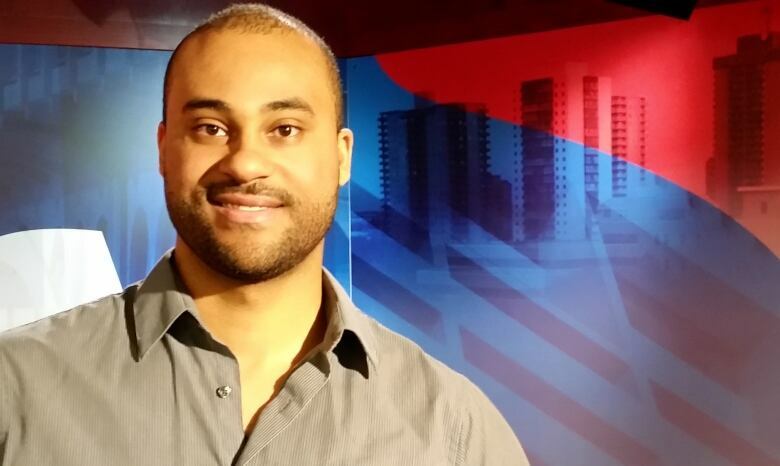 Saskatoon entrepreneur Alex Balogun's company, Ronin Energetics, is finding success with his high-tech wallet design. He's raised more than $15,000 on Kickstarter for the project. Between credit cards, debit cards, IDs and good old-fashioned paper money, a wallet can get crowded pretty fast. That's led to new trend toward streamlined wallet designs — a trend Saskatoon's Ronin Energetics is cashing in on with a new high-tech wallet it calls the Arceo Wallet. "We wanted to take a fairly mundane product that you might think, 'Oh, a wallet, everybody carries that around,' and really showcase that there's a lot of opportunity for mechanical innovation," said Alex Balogun, the company's founder and the wallet's designer. Within days of launching on Kickstarter, Arceo Wallet has raised more than $15,000, well surpassing the original funding goal of $5,000. The wallet is made from a carbon-fibre composite, a material Balogun said you're more likely to find in the aerospace industry than in your pocket. "We wanted to help put carbon-fibre composites in people's hands in an everyday carry item that is very useful to their daily lives," said Balogun. The Arceo, which starts at $88, features a magnetic latch and a special tensioning system designed by Balogun to keep everything snugly in place. The wallets can be further customized to hold extra items like keys, tools and USB sticks. "Whether you might want to carry around small tools, bit drivers, that type of thing, this is definitely the wallet for you," said Balogun. The product is also serving as a showcase for for Ronin Energetics, a small fabrication shop in Saskatoon where the Arceo will be manufactured. "Local manufacturing is really making a resurgence, we believe. People want products that have more customization, more personalization. People want to be connected to the creators," said Balogun. But anyone with the right equipment can try their hand at manufacturing the wallet themselves. That's because Balogun has "open sourced" his designs, freely sharing them online. "We also want to help educate people about carbon-fibre composites and about the new paradigm shift that's happening in manufacturing right now," said Balogun. "There's a lot of opportunity for mechanical innovation, not just in the mechanism that makes it work but also in the materials and the techniques used to turn those materials into a finished product."